Vado al Massimo, Palermo, Włochy : Rezerwuj teraz! 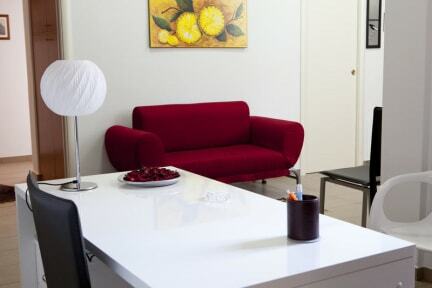 Vado al Massimo is a Bed and Breakfast situated in Via Donizetti n.19, in the city centre of Palermo. Guests who come from the airport or from the railway station or the port can easily get it. air conditioning, TV, wi-fi, hair dryer and minibar. Furniture is modern and chosen with great attention so that offering the guests a friendly atmosphere.